Are you a frequent Amazon user? Instead of Amazon use Amazon Smile and choose The Rotary Club of Homosassa Springs as your charity, they will make a donation to us based on your purchases. It is the same Amazon! Go to Smile.Amazon.com and choose us! 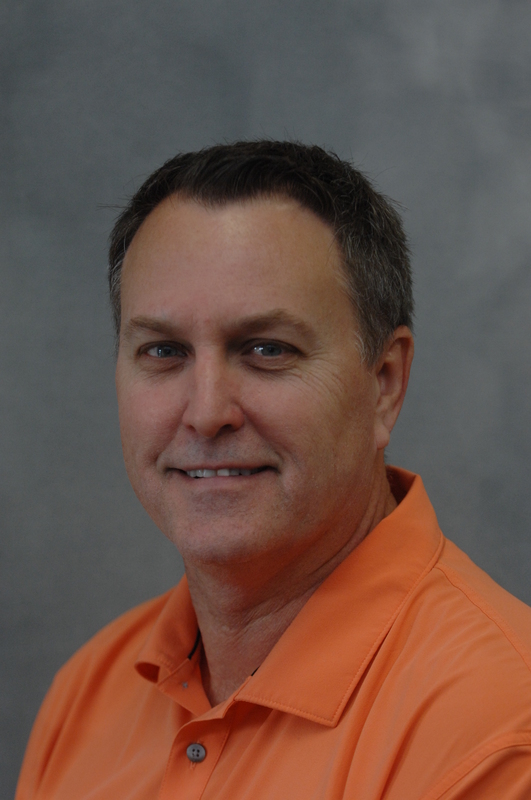 We are a Fellowship of Business and Community Leaders engaging with the Homosassa community to positively change the lives of our members, and the local community with an emphasis on enabling children and youth, locally as well as internationally, to reach their full potential. 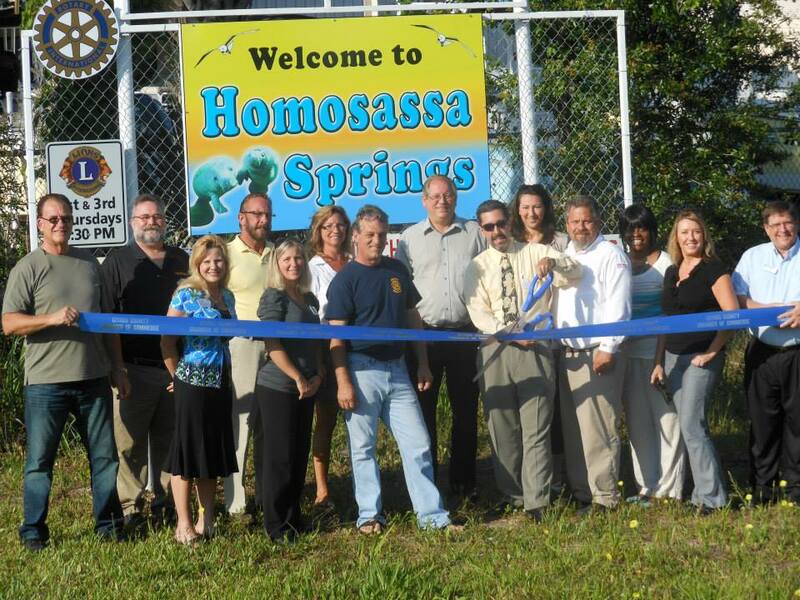 Welcome to The Rotary Club of Homosassa Springs web site. 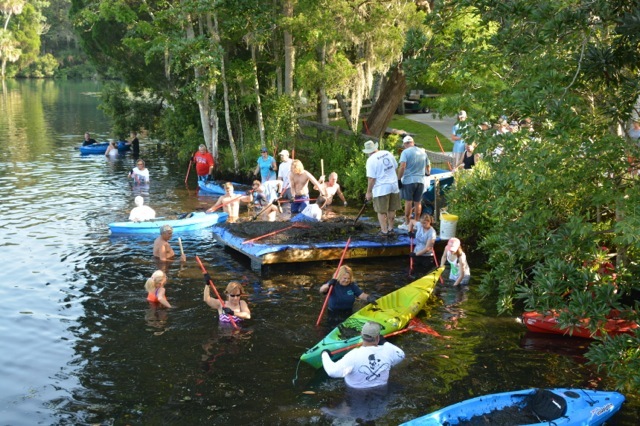 Feel free to browse our pages and watch for our next river clean up where we remove lyngbya from the Homosassa River. 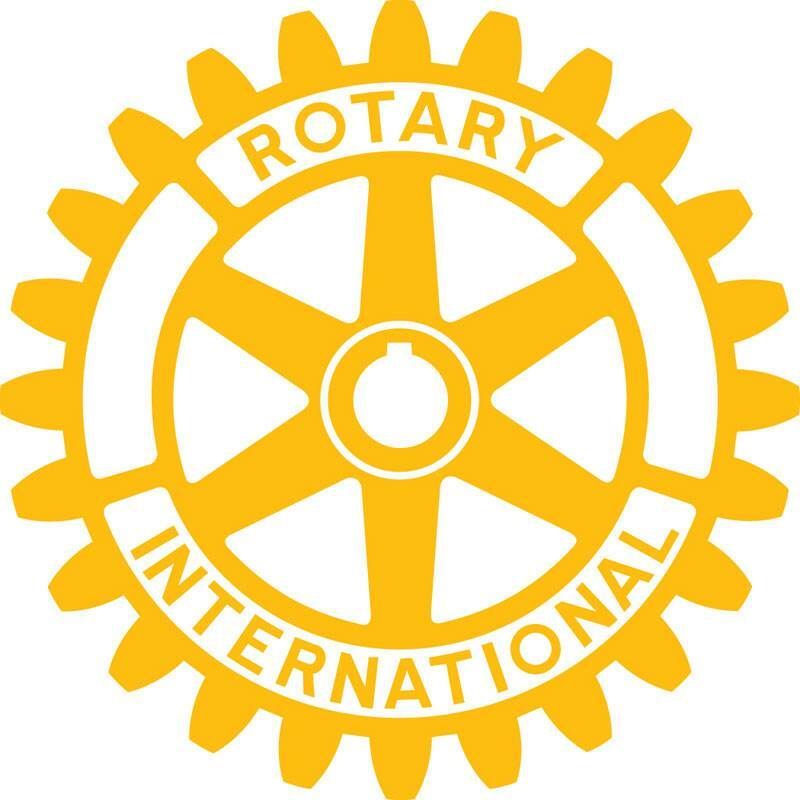 If you want to be a part of a club that makes a difference in the lives of people in our local community and internationally come visit us at Luigi's behind Burger King in Homosassa every Thursday at 7:00 am and see what Rotary is all about. GET READY! THE PARTY WILL START ON MARCH 24, 2018! LOOK FOR 2018 SCHEDULE SOON! The Lyngbya cleanups will run from 8 am to 11:30 am. Volunteers are asked to park at the overflow lot just past the back entrance of the Homosassa Springs Wildlife State Park off West Fishbowl Drive (right before you go over the bridge). From the parking lot, volunteers can walk to the double gate on the left of the parking lot. Volunteers should bring close toed shoes, clothes they don’t mind getting dirty and a towel. Tools and kayaks to load and transport the Lyngbya will be provided by the Homosassa Rotary Club. For more information on the cleanup, call Tom Feeney at 352-201-2520. Our fun-raising event is Shrimpapalooza. We had a great time and drew thousands of party goers from all over the state. 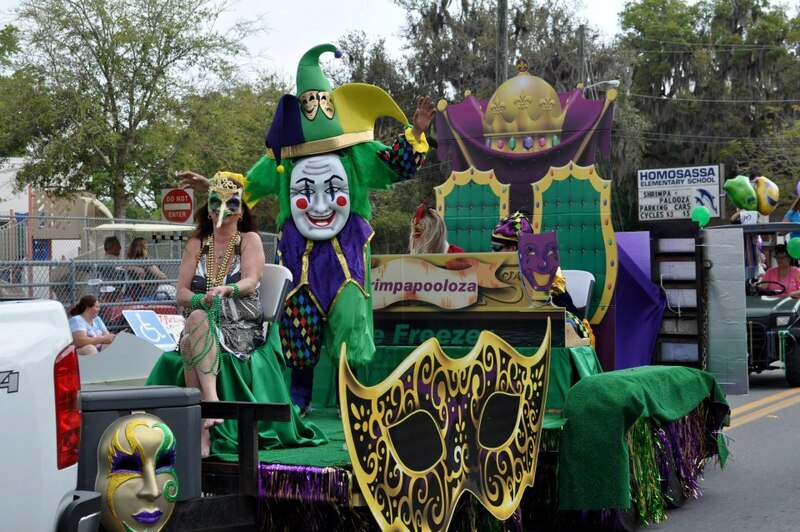 Stay tuned for information on Shrimpapalooza 2016! Live music, tons of food, an awesome parade!! What more can you want? Great spirits and great time with good friends! SO WE CAN DO THIS! 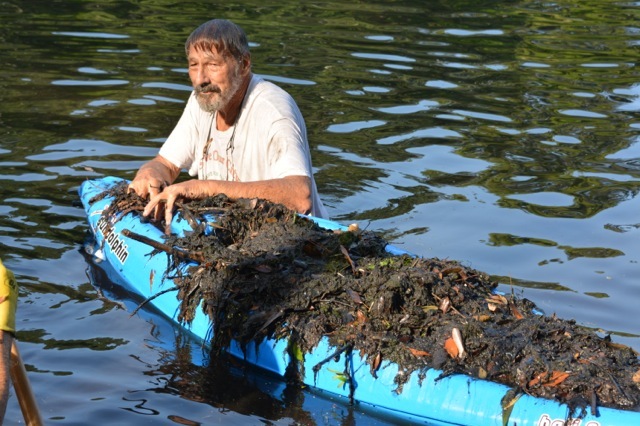 Every month we are out there cleaning up the lyngbya from the Homosassa River. 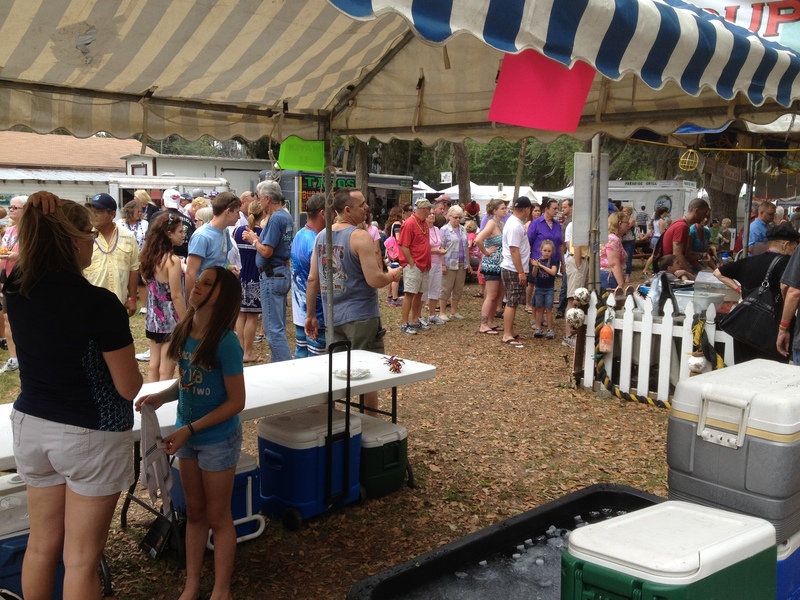 We, along with supporters from all over the county, are trying to bring back the Homosassa to it's former glory. CLICK THE RIVER RAKE LINK ON THE TOP LEFT FOR MORE PICTURES!